In the past, it was the land of the Vikings, but now Norway is in the group of the richest countries in the world. Travel around there can be quite expensive, but every penny is worth the spectacle of glaciers, fjords and waterfalls. 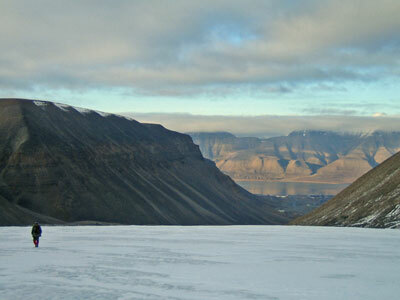 During the last Ice Age, the glaciers covered all of Scandinavia. After that, when the ice st arted to melt, long and narrow valleys of incomparable beauty appeared: the fjords that abound along Norway’s coast. Sognefjord is the biggest, with its length of 204 kilometres and arms that embrace villages of colourful wooden houses. 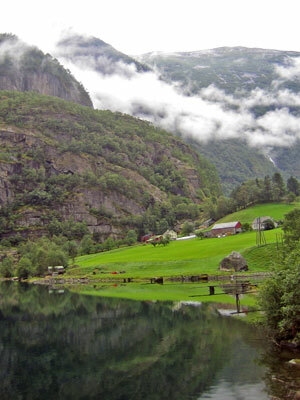 Travelling on the railway that links villages Flam and Myrdal is a breathtaking experience. The journey is only 20 kilometres long, but the difference in altitude between the two places is 864 meters, more than enough to produce stunning views. Before heading north, where the picturesque Geirangerfjord and the fantastic Trolls’ route can be found, we cannot miss Jostedal Glacier, the biggest in continental Europe with 480 square kilometres. Amongst its various access points, the Boya arm requires the least amount of walking. 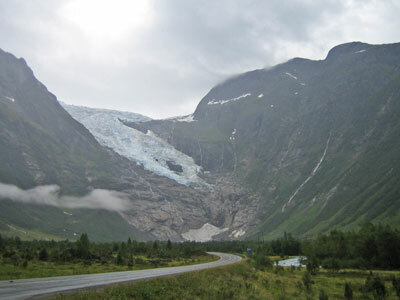 Nearby, the fascinating Norwegian Glacier Museum displays pictures and videos that explain how the glaciers were formed, as well as information on how they have been shrinking as a consequence of global warming. Leaving Jostedal Glacier, it is necessary to travel 180 kilometres of countless tunnels and awe-inspiring views to get to Geirangerfjord. Nearing this destination, when further beauty is difficult to imagine, Geirangerfjord suddenly comes into sight with its mirror-like waters, like a huge three dimensional post card. Following this overdose of scenic beauty, we travel along Hwy 63, known as the Trolls’ Route. Cliffs, hairpin bends and plummeting waterfalls mix together showing off an almost stone bare lunar landscape. In Norse mythology, a troll is a fearsome man-like creature that could be turned to stone by sunlight or curses. Rocks resembling human features can be seen along the route, hence its name. 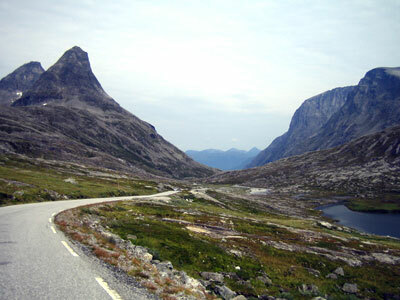 There would be innumerable options to anyone who wants to extend the journey through tunnels and exhilarating scenery. However, if the next destination is the far Arctic Circle, it is advisable to swap those lovely views from the road for a boring airport. That is the quickest way to reach Tromso, at 69˚ latitude, the capital of arctic Norway and referred in the tourist guides as “Paris of the North”. Besides the traditional colourful wooden houses with grassy roofs, the stavkirker are another interesting feature of Norwegian architecture. 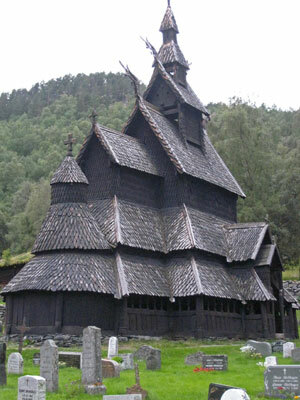 Just 60 kilometres from Flam, one of the 29 well preserved medieval stave churches can be seen, in a village called Borgund. Its outside is rich in detail, following Viking themes such as dragons’ heads and runic inscriptions. This reminds us that Scandinavia was the last part of Europe to be converted to Christianity. To those with an adventurer’s spirit, though, there is a possibility of going even further. After another hour and half flying, we arrive in Svalbard, where the sun never sets during summer and the northern lights sometimes illuminate the never-ending winter nights. Certainly, the isle of Svalbard is an essential experience to those who want to know Norway from South to North, end to end. A market is always a good starting point if we want to know more about a place. In Bergen, the well-known “capital of Fjords”, there is no doubt we are in a country with a strong fishing tradition. In the market stalls some products catch the tourists’ attention: reindeer and elk salami, crabs and lobsters weighting as much as eight kilos, raw oysters to be sampled before buying and many other things thoroughly unsuitable for vegetarians. 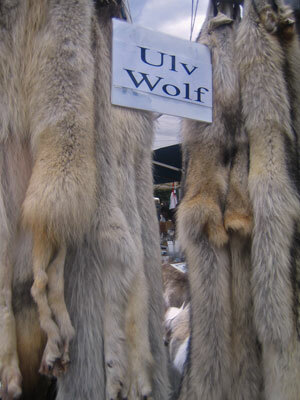 Yet, what may really shock foreigners in Bergen’s market is the shameless sale of animal skins. If not indignant, you could be spoiled by choice: the variety of colours and patterns from the seals, the wooliness of the reindeers’ furs and even the exoticism of wolves and arctic foxes, both endangered species. In the beginning, it may be difficult to understand the paradox. Why does a country, where hunting endangered animals is illegal, permit such an appalling trade? In the seals’ case, though, the economic argument is more evident. In Norway, sealing is not just legal but even encouraged by the government. Seals eat fish, and in huge quantities. Unsurprisingly, the same fish are intended to be consumed in the numerous countries Norway exports to. Rather than promote the slaughtering of seals, a more tolerable measure would be to reduce the fish exportation. Doing that, the country would be better seen by the international community and specially, it would not endanger its strong economy, as it does not primarily rely on fishing. During the 1960s, it was discovered that the country was floating on oil reserves and since then, this natural resource has been continuously exploited. At present, Norway is the third biggest exporter of oil in the world and this is, undoubtedly, the country’s major source of wealth. Unfortunately, the government of a country that has soaring development and revenue still uses the ‘preservation of cultural habit’ as an excuse for its economical greed. Since 2005, foreigners also can hunt seals and whales for sport. Companies offering such tourist packages have been springing up since then. This practice is regulated by the government, which controls the number of killings and prohibits it during the mating period. However, seal puppies are also legally killed as soon as they stop suckling and start to eat fish. If whaling is the issue, it is interesting to remember that the only species legally hunted in Norway is the Minke, according to some official sources, a non-endangered species. Well, at least, not yet. Another controversial measure taken by the government in the 1940s is the stratospheric taxation on alcoholic drinks. At that time, the goals were to reduce alcoholism and improve the country’s economy. The plan seems to have worked, as Norway is currently one of the European countries with the lowest statistics of alcohol consumption. It is very easy to understand why. A bottle of French wine, for instance, costs on average six times more there than it would cost here in London. Unfortunately, it is not only the drinks that would break the traveller’s budget, as commodities and services have also a rather high taxation. Therefore, it is sensible to remember this before entering a restaurant in Norway, which gastronomy is extremely dependent on meat and fish. As reindeer is a big source of red meat, it frequently appears on the menu, normally accompanied by potatoes and cooked vegetables. Whale meat is specially served in restaurants frequented by tourists, sometimes combined with seal, which makes the dish even more exotic – and even less environmentally friendly. Second biggest GDP (Gross Domestic Product) per capita in the world: 72,306 US dollars. Best Human Development Index in the world, since 2001: based on levels of education, longevity and revenue.